“The Langoliers” is a 1995 ABC miniseries adapted from a Stephen King novella of the same name (it came from the same collection that later produced the Johnny Depp movie “Secret Window”). I think most people have forgotten about it (for good reason, I might add), but I definitely remember watching this on TV when I was a kid. 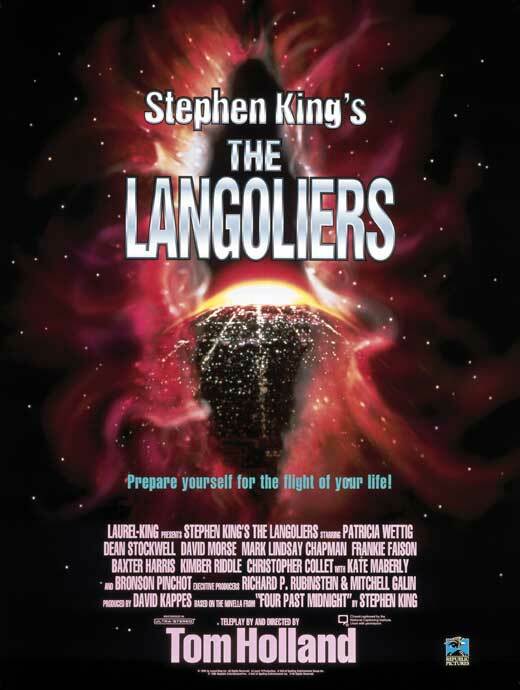 Specifically, I remember the hilariously terrible eponymous ‘langoliers,’ that look something like evil mollusks crossed with a chainsaw. Not so great, huh? For even more CG fun, here is the climax of the film set to “Guile’s Theme” from “Street Fighter.” Just look at those giant Pac-Man raisins go! Aside from the awful CG throughout, the next most memorable aspect of the series are the performances. There are a handful of decent actors featured, such as Dean Stockwell and David Morse, but they all wind up looking pretty abysmal in this thing. Stockwell in particular winds up playing a heavy-handed Sherlock Holmes analogue, which is surprisingly one of the less distractingly awful performances in “The Langoliers.” Morse, who I guess is supposed to be the lead, plays one of the most generic characters I have ever seen on screen. 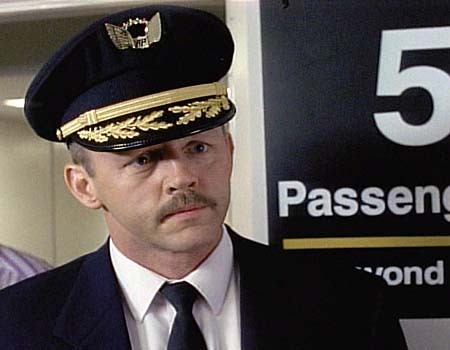 Conveniently for the story though, he also happens to be a pilot! Of course, if he were anything else, everyone would have just died before the end of the first act, and the movie/series wouldn’t be 3 hours long. Rounding out the cast are a few more notables: Frankie Faison, who would later play Commissioner Ervin Burrell in “The Wire”, Patricia Wettig, who has does extensive acting work on television, and Mark Lindsay Chapman, who most would probably only recognize as the Chief Officer from “Titanic.” While Wettig gets her fair share of ridiculous lines in the third act (“Are we the new people?! ?”), Chapman definitely steals the show for most of the movie. Essentially, Chapman plays a grittier version of James Bond: a rough around the edges assassin and hit man with some sort of connection to the British government. As with Stockwell’s Holmes-ian character and Morse’s pilot, it is ridiculously handy to the story that a super-agent with field training winds up in the crew of survivors, particularly once Toomey finally snaps. I mean, he looks so harmless though? 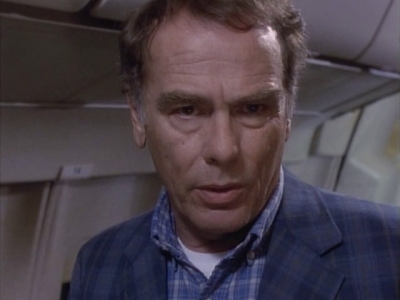 It turns out that the first “Left Behind” novel came out in 1995, 5 years after King published “The Langoliers,” and the same year that “The Langoliers” miniseries aired on ABC. 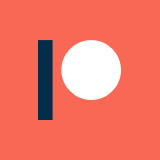 It turns out that I’m not the only one to notice the similarity: you’ll find comments all over the internet pointing out the parallels. I’m sure it is only a coincidence, but it sure is a fun one: that makes 3 awful movies with almost the exact same premise! 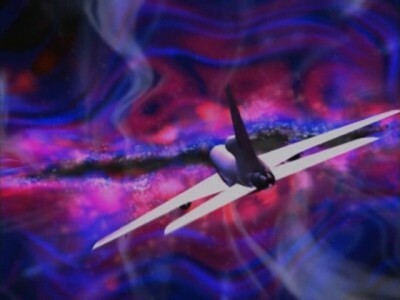 Due to the mixed bag of underacting, overacting, and hilariously bad CG effects, I think there is a lot of entertainment value to be had from “The Langoliers.” I particularly enjoyed the handful of instances where the actors have to stare out of plane windows and react to the langoliers, which they obviously can’t see. That’s just the sort of thing that can set me a-giggling.